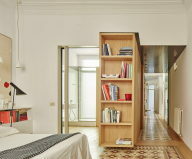 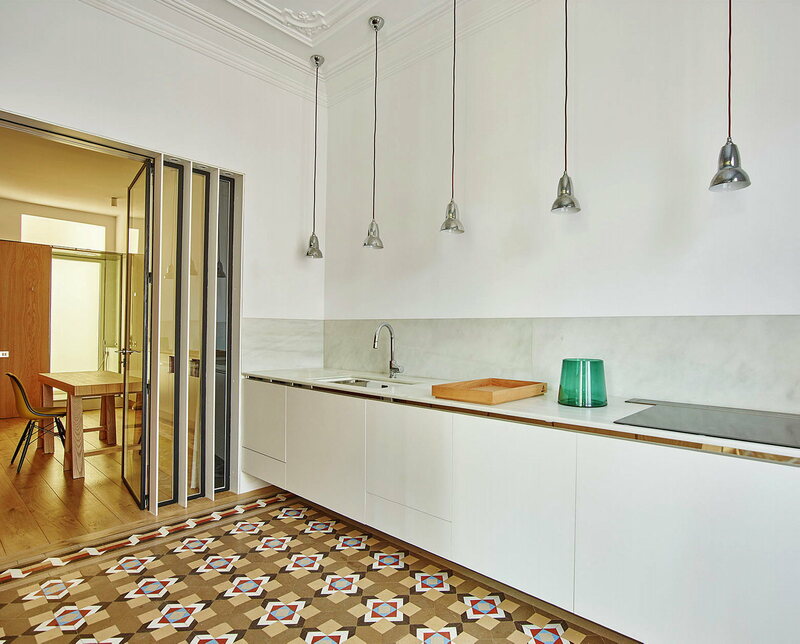 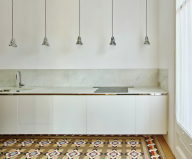 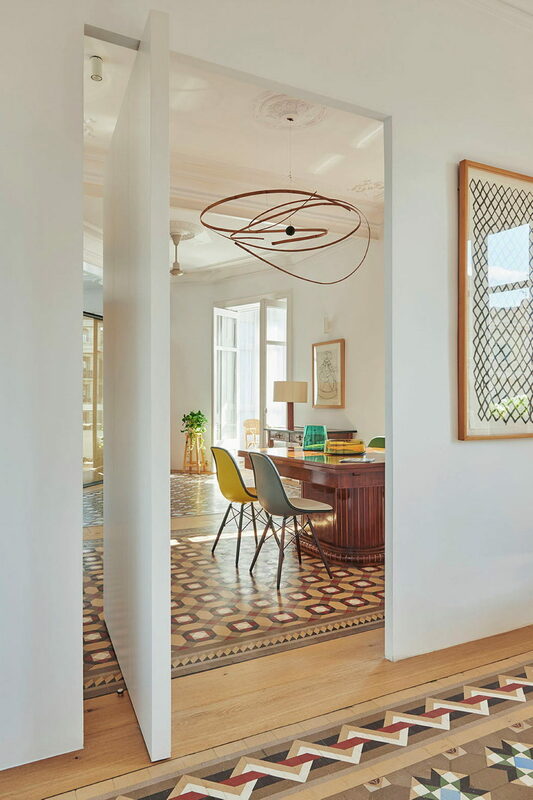 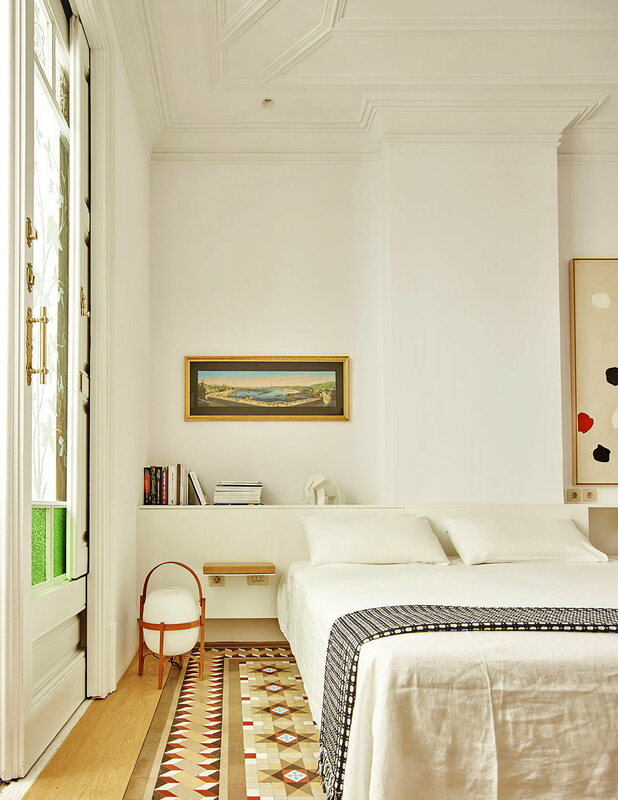 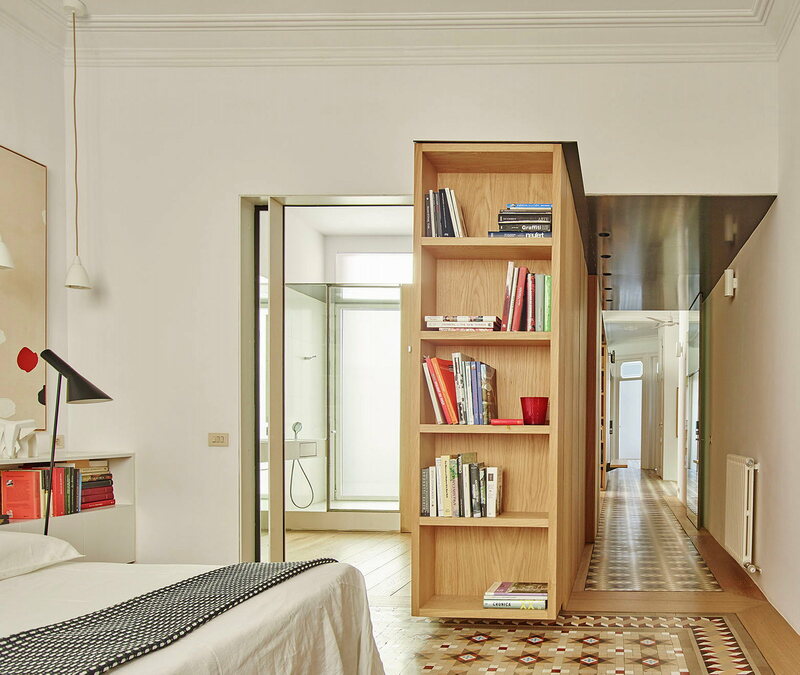 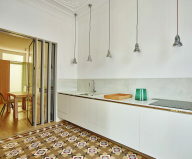 The Built Architecture bureau has decided to completely redesign and optimize an old interior in Barcelona style. 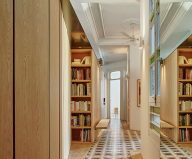 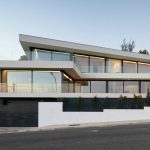 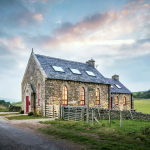 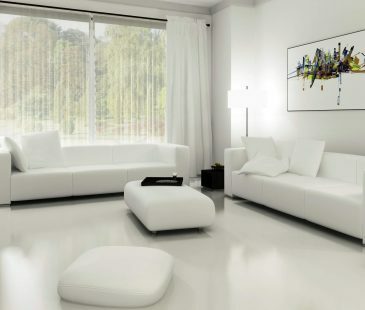 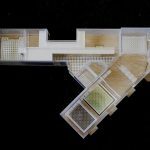 It was necessary to eliminate all the redundant elements that break an integrity of internal space (walls and décor) and create a spacious accommodation. 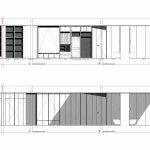 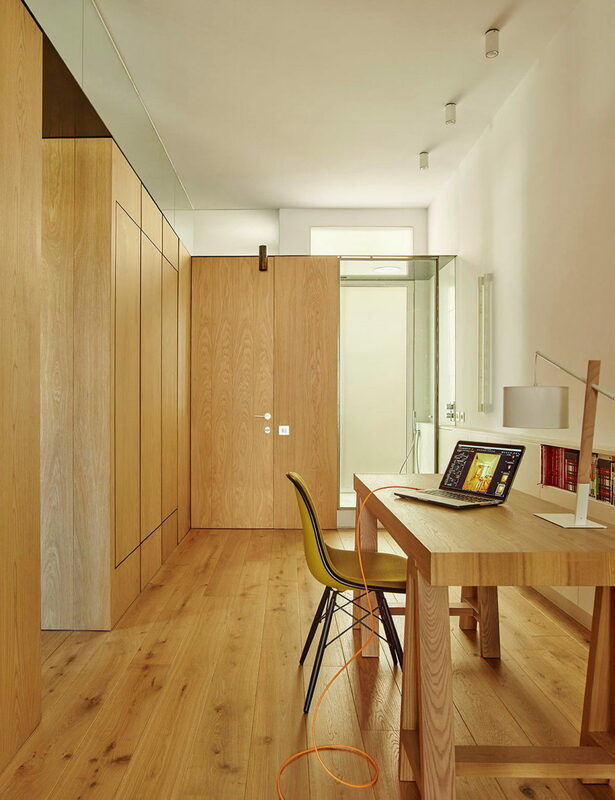 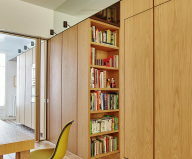 Thus, the central corridor was removed and big bespoke cabinet with length of almost entire apartment has appeared on that place. 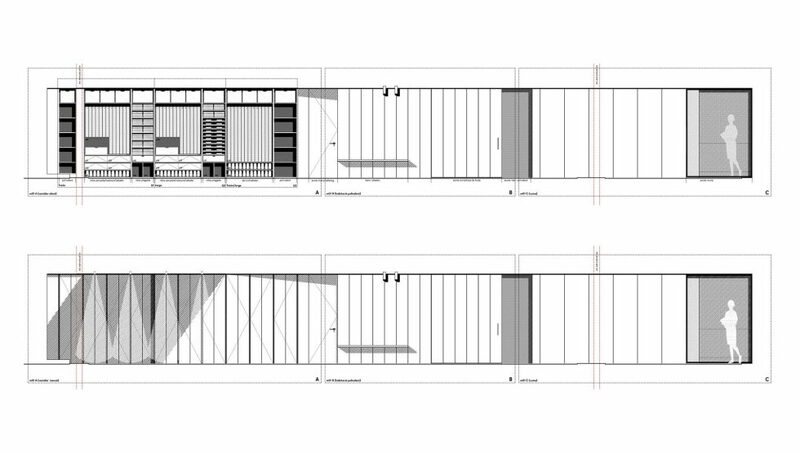 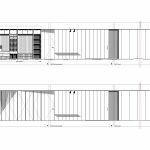 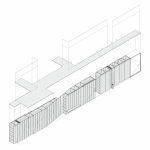 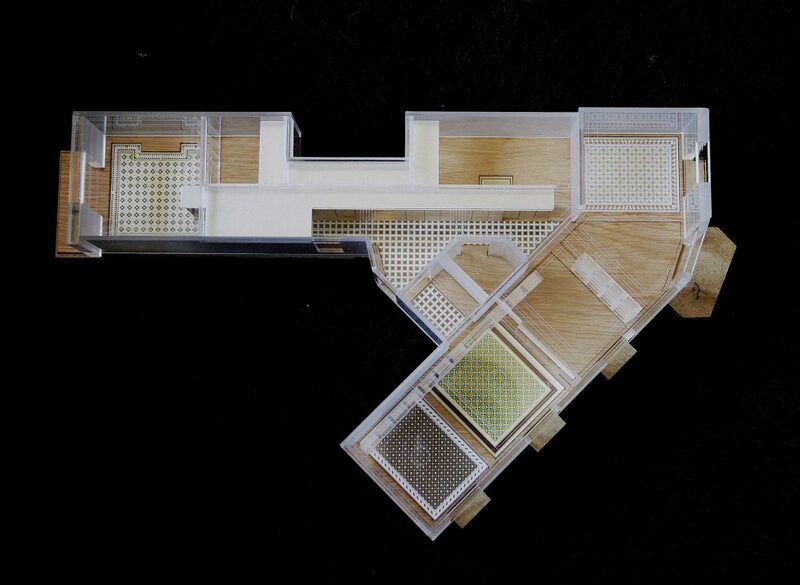 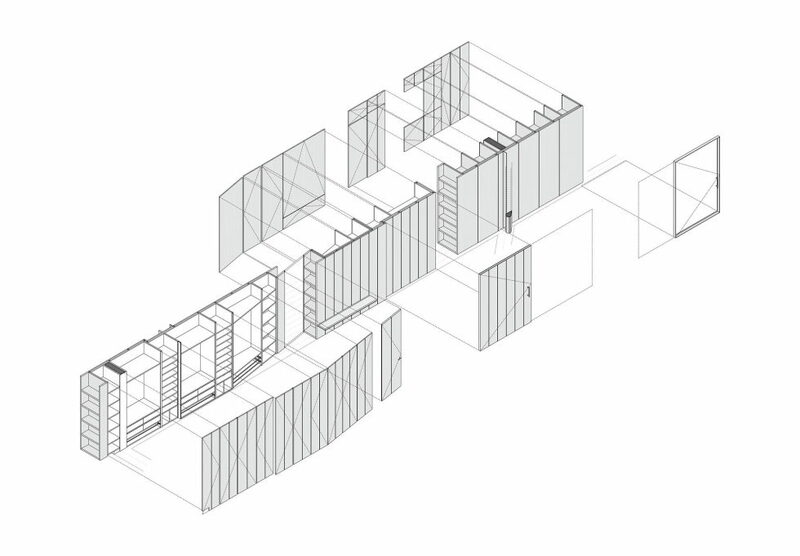 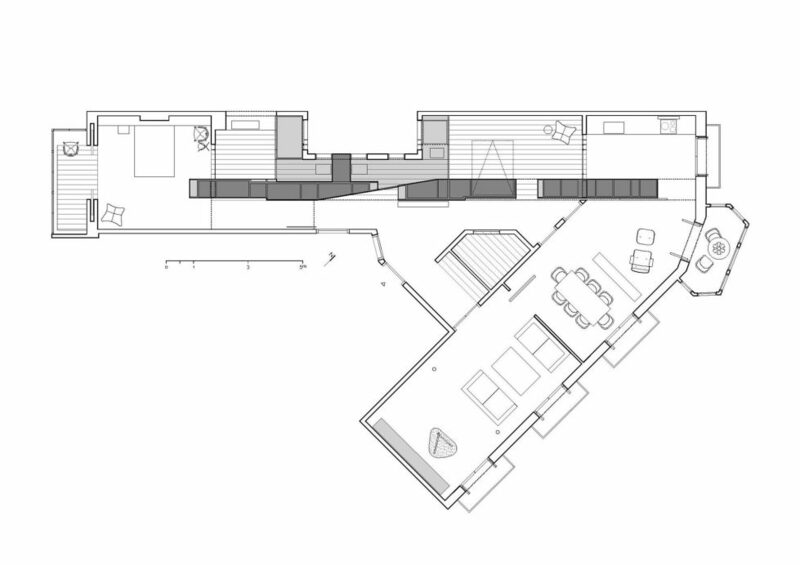 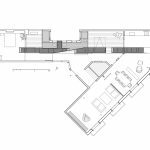 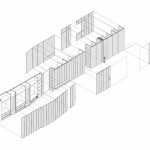 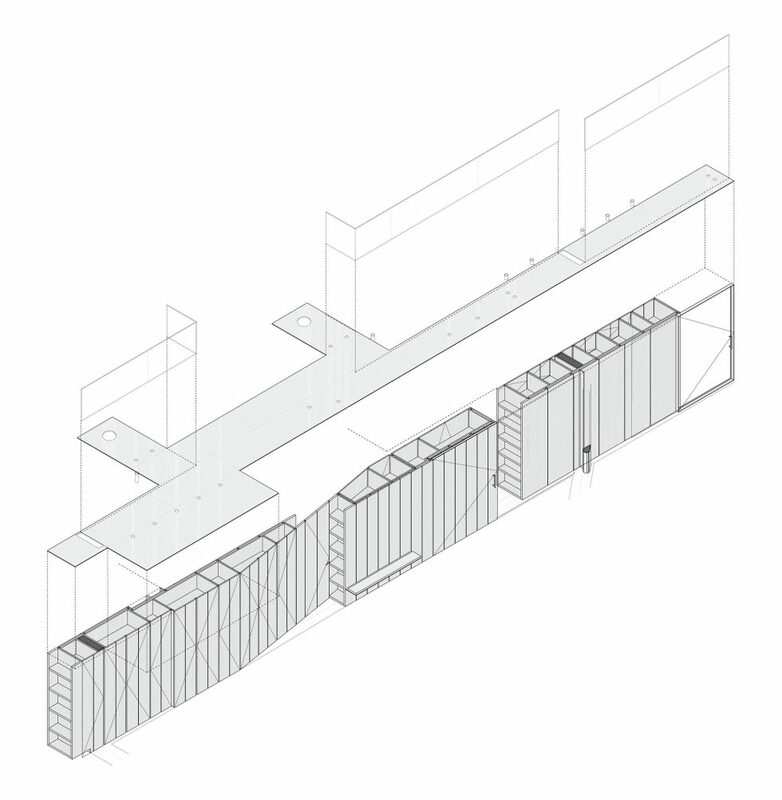 In addition to big capacity, it also serves as a wall between public and private spaces. 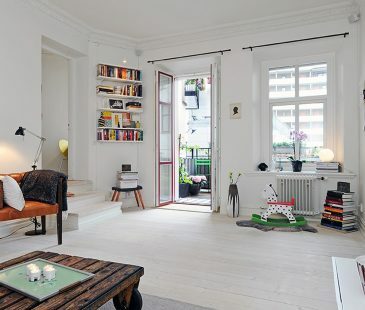 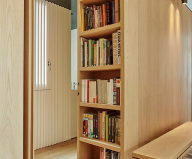 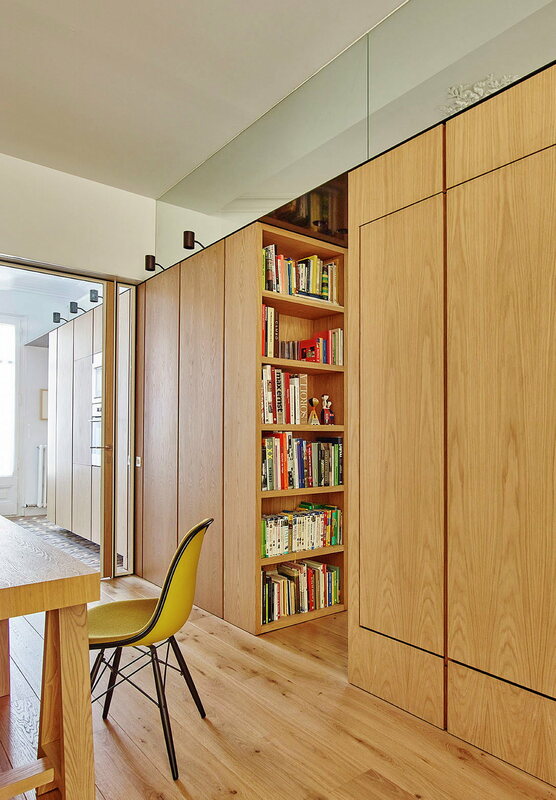 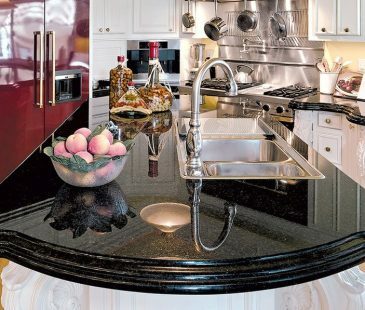 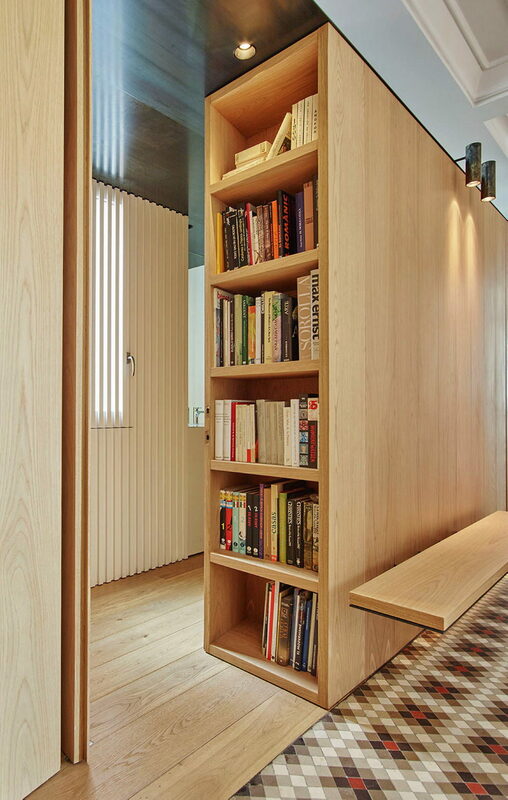 Moreover, this cabinet has built-in kitchen appliances, and its end parts became bookshelves. 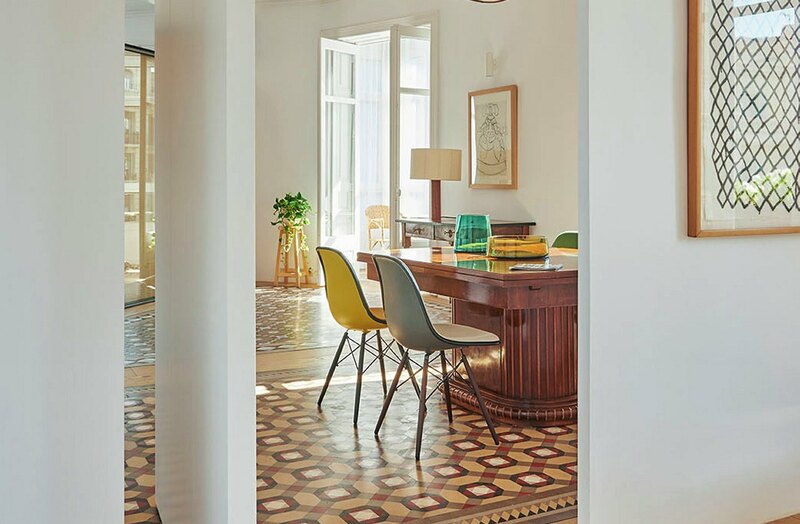 However, architects has decided not to touch restored mosaic tiles in modern style and high ceilings with plaster molding. 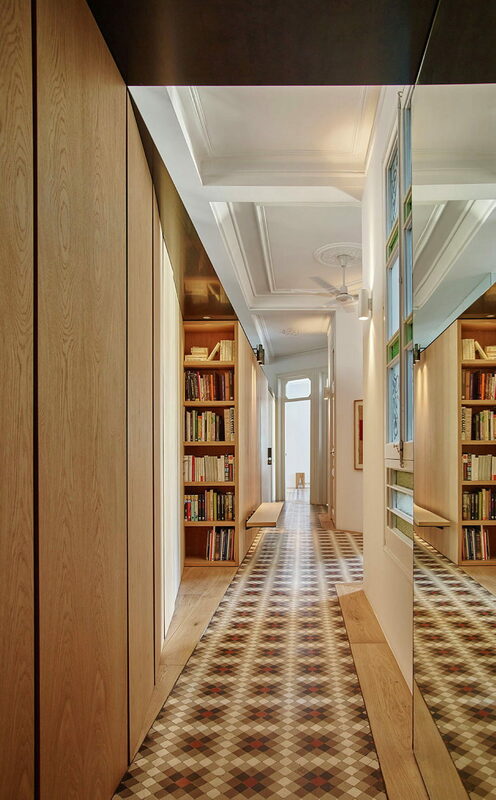 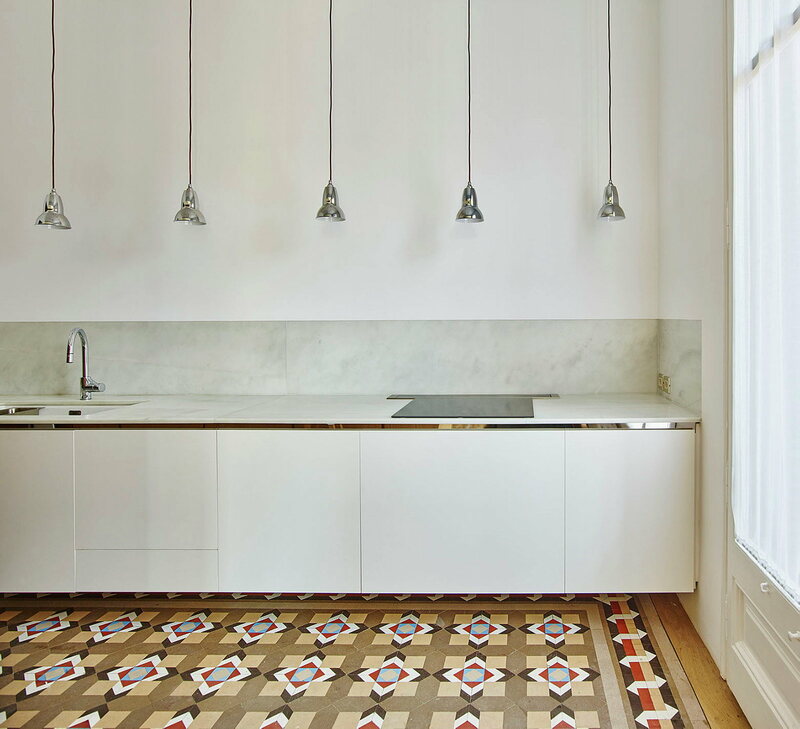 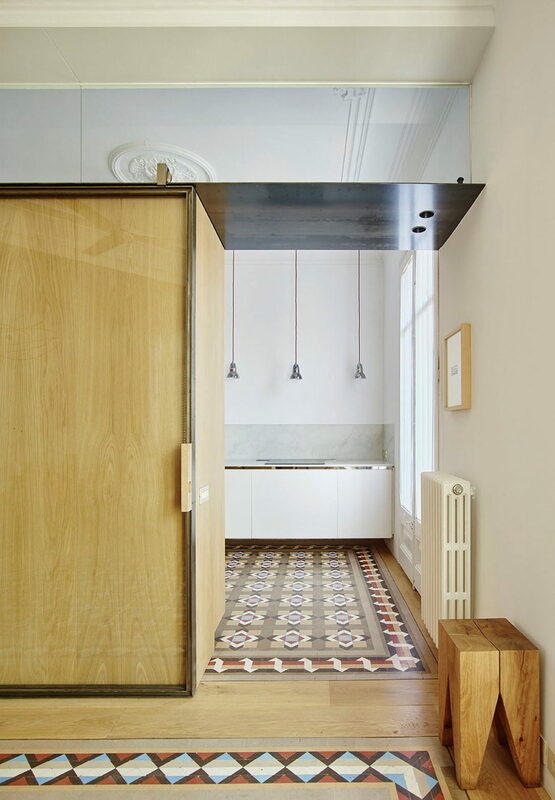 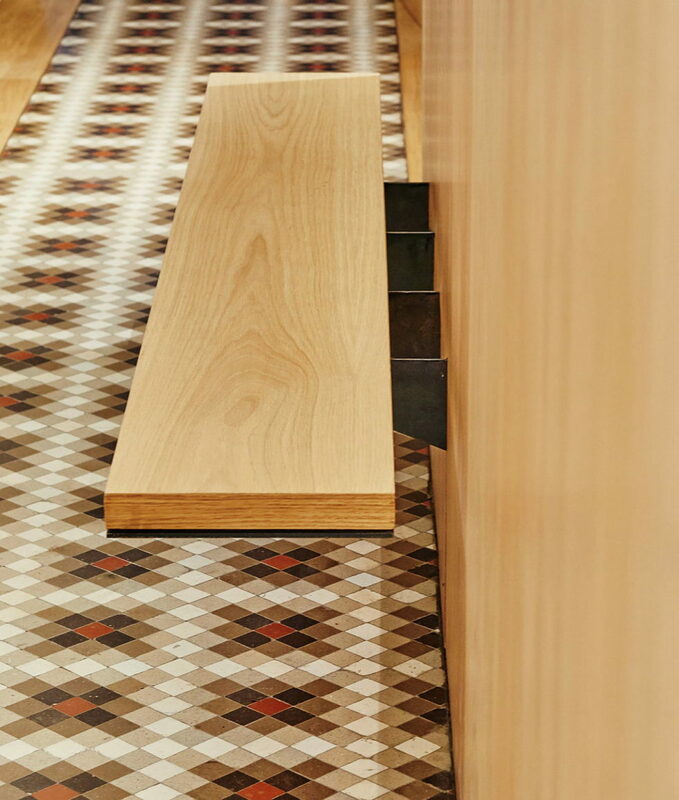 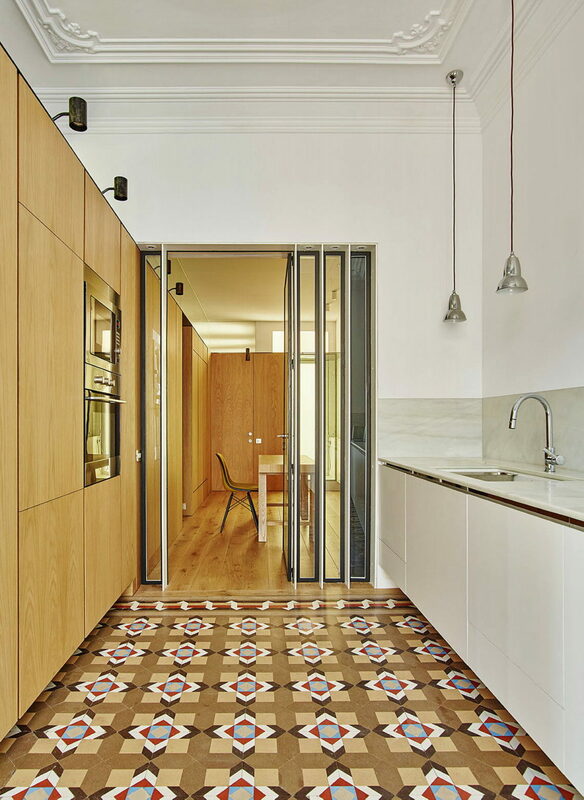 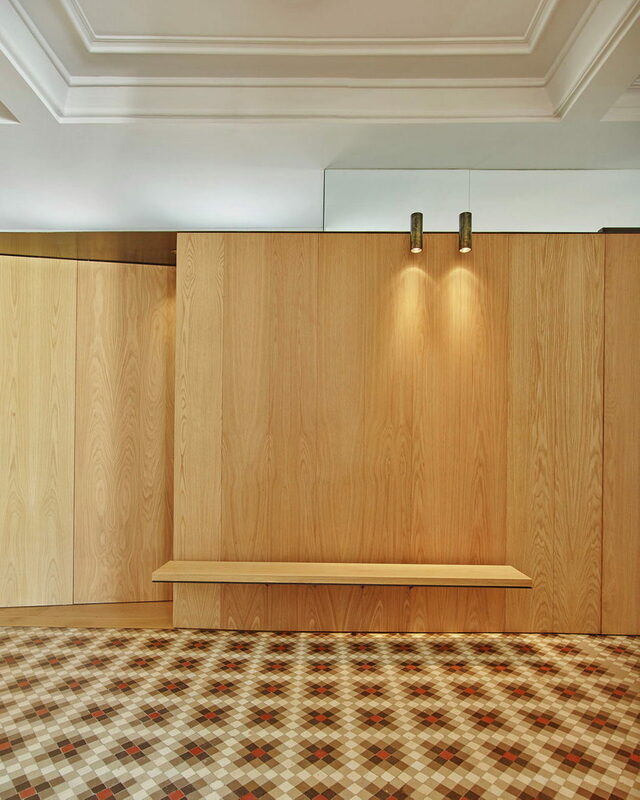 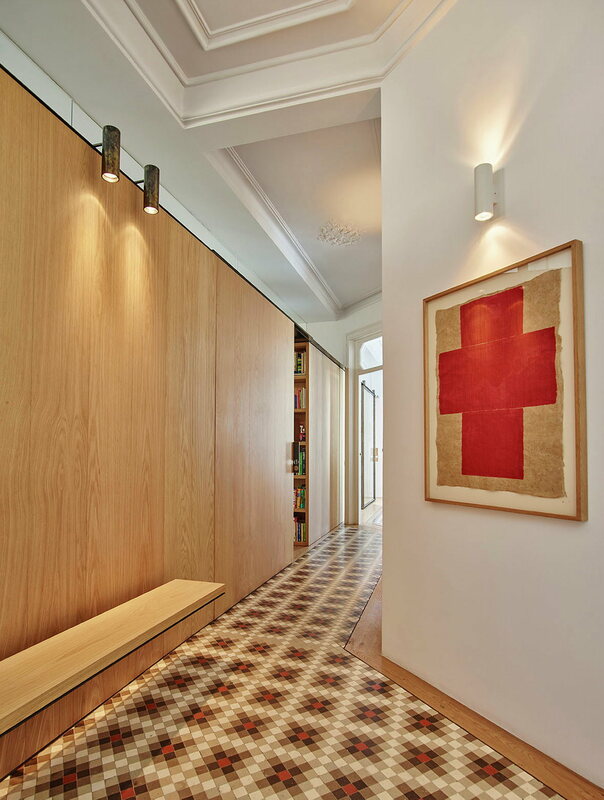 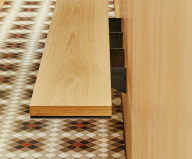 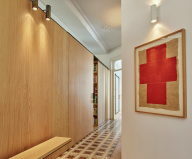 Oak parquet and cabinet create a complete harmony with mentioned mosaic. 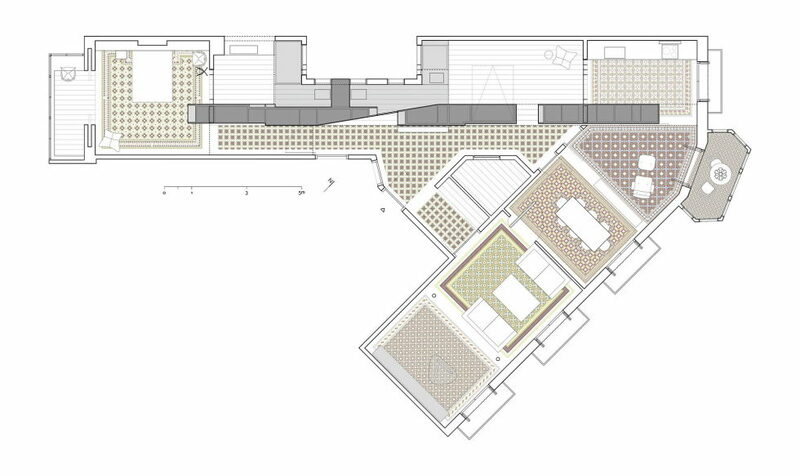 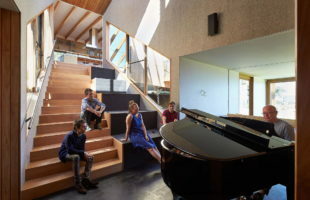 The large common room adjoin to the main façade includes the living room, dining room and library. 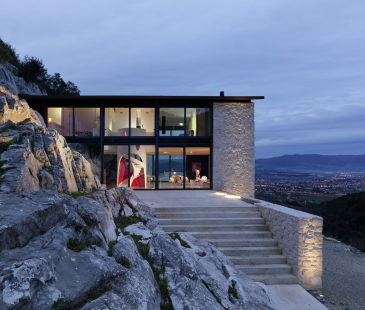 In addition, the room has an amazing view from its windows. 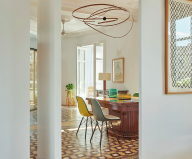 Massy table and modern style chandelier create a space with an official and luxurious atmosphere. 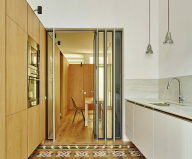 The glass sliding door separates the kitchen from the living area. 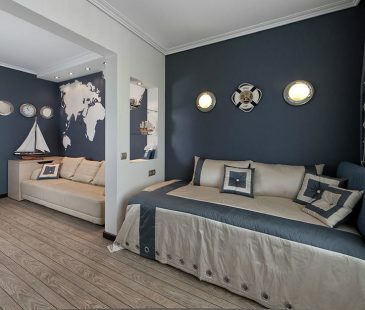 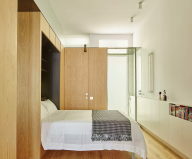 The guest room and additional bathroom are located near. 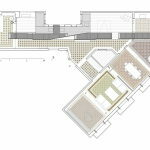 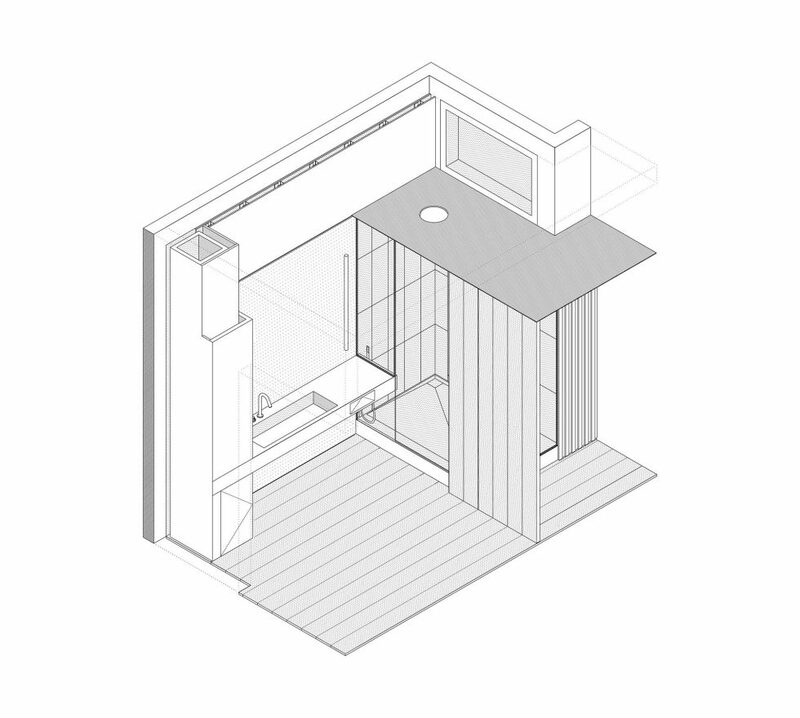 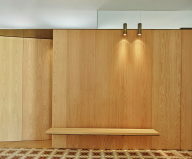 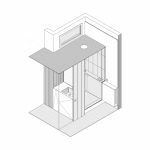 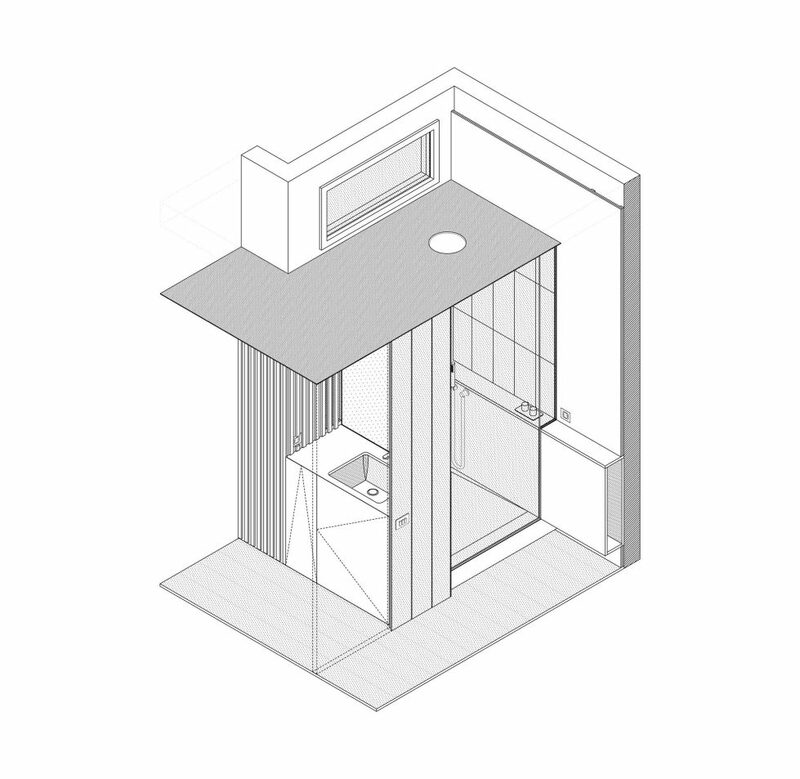 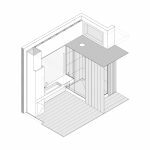 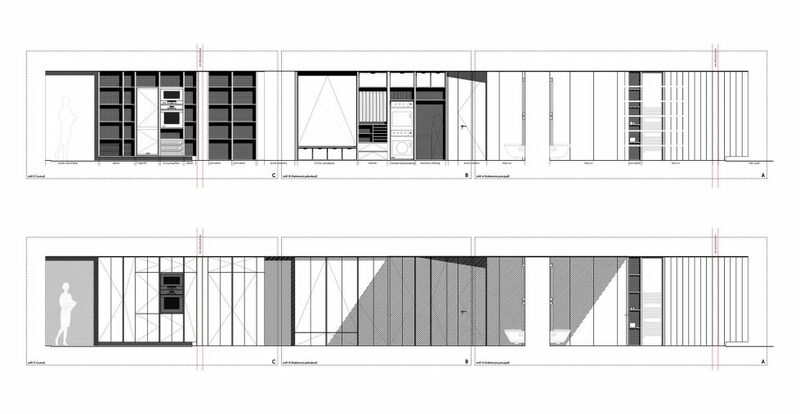 The private area is divided into four areas: the dressing room, office with the terrace, bedroom and bathroom. 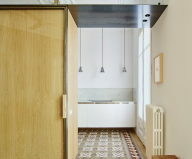 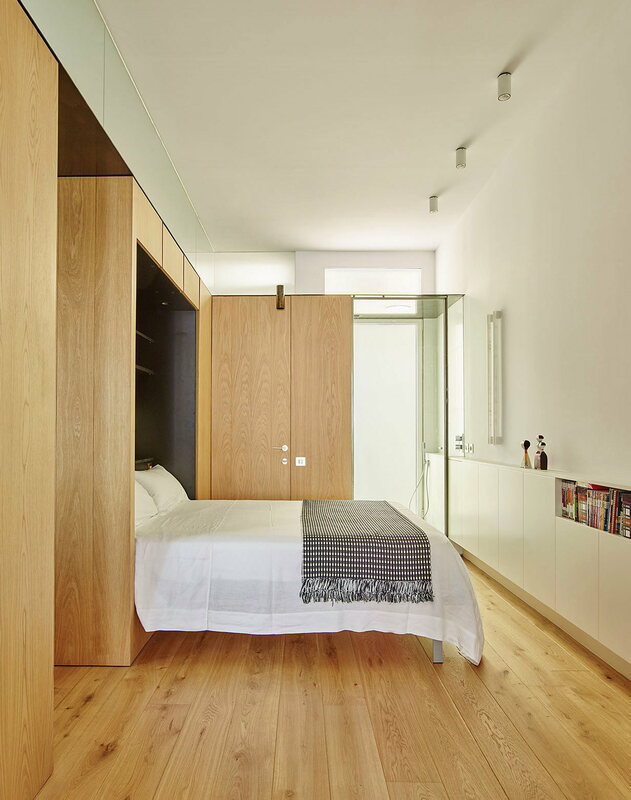 The bathroom is full of natural light thanks to its large windows overlooking the courtyard.